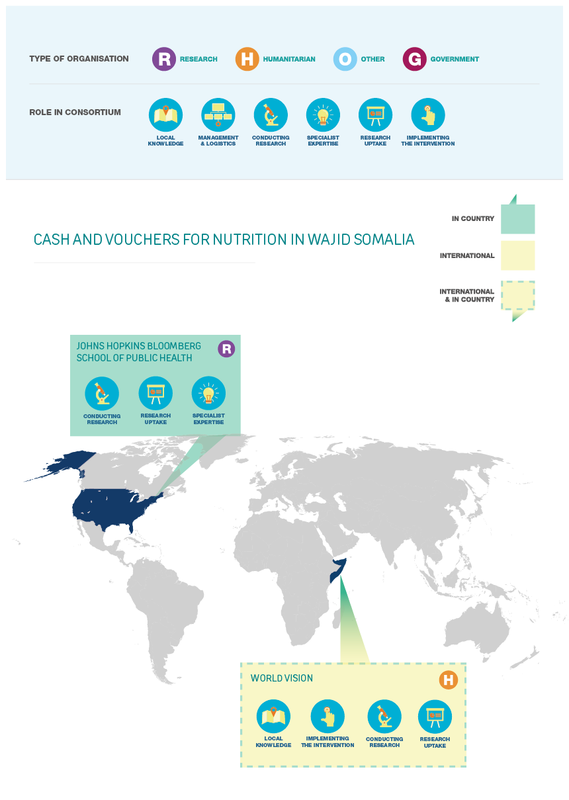 The aim of the project is actionable recommendations to inform future food and nutrition programming in Somalia and other food crises. It focuses on prevention of acute malnutrition among vulnerable populations, including pregnant and lactating women and children under five years of age. There is limited and sometimes confusing evidence about the impact of combinations of assistance modalities, such as cash transfers and food vouchers, on nutritional status and about the importance of the design and implementation of such programmes. We intend to compare the effectiveness of food vouchers to the effectiveness of mixed transfers, consisting of food vouchers and unconditional cash transfers: is the provision of both cash and vouchers more effective than vouchers alone for preventing acute malnutrition and supporting health behaviours and food security among vulnerable groups (pregnant and lactating women and children under five years of age). This research will provide much needed evidence on the impact of modalities on nutrition and health outcomes for pregnant and lactating women and children under five years of age, and make an important contribution to the expansion of cash programming in future humanitarian crises. Findings will be directly utilized to improve health and nutrition status in the current famine response, through the incorporation of implications, learning and identified successful innovations into refinement of future programs implemented by World Vision and partners, by applying the evidence to support the scaling up of successful interventions and practices to other World Vision programmes in humanitarian contexts, and we anticipate that by publishing and sharing findings, lessons learned and good practices with key stakeholders and strategic partners these will be applied in Somalia and other similar contexts. At least two articles will be submitted for publication in an open-access journal, and briefing sheets and presentations will be prepared to summarize key findings for dissemination events. Why invest in more research for cash programming? 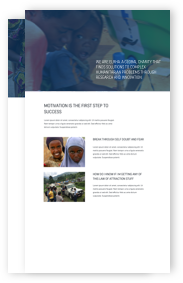 In a world that is facing humanitarian need on an unprecedented scale with inadequate resources and funding, it is crucial that we provide aid in the most effective way possible….